In june 2018 we stayed 4 days in this B&B. The host, Kathleen, is most kind and helpful, the landscape is beautiful, the house is on a very a quiet road. The room was spacious, and the beds comfortable. We loved to stay there and if possible, will come back. Pleasant stay. Beautiful view. Was difficult to find. Host had to drive to town and then we followed her. Had a fantastic week at Reen Coast B&B. Kathleen & Gerry brilliant hosts. Would thoroughly recommend this B&B for a nice relaxing spot on a beautiful coast. We spent great moments in Kathleen's house. The room is confortable. The house and the view are beautiful. We can see sheeps and the sea around us. Kathleen's breakfast is very good. Thank you Kathleen for everything! Thank you for having booked a boat to Skellig Michael for us. Kathleen was a fantastic host. The room was comfortable. Breakfast was delicious. We loved the proximity to Portmagee, Cahersiveen, and Valentia. Kathleen was also able to book a trip to the skelligs for us. Will be staying here again on our next trip. I stayed three nights at Reen Coast B and B in April of 2016. It is a spectacular place to stay - on the end of the Kerry peninsular, just outside the lovely village of Portmagee. Kathleen O'Driscoll is very welcoming and friendly. The room is comfortable. I would highly recommend this to anyone looking for peace and quiet. The village is great - music in the pub on Fridays and Sundays. The owner is very welcoming. I was sorry I could not stay longer!! I am definitely going back!!!! Comfortable room plenty of space and suitable services. Perfect location in a quiet neighbourhood. Friendly owners and very pleasant breakfast. Great experience with bay views. Kathleen was able to welcome us into her home even though we arrived late. Everything was very cozy and comfortable. The Irish breakfast next morning was wonderful. If we find ourselves in this corner of Ireland again, wouldn't hesitate to come back. The owner is very kind and the breakfast delicious. Very nice at all the points. I especially enjoyed the irish breakfast ! Thank you very much. We stayed an extra day, because we found the area so beautiful, and especially the island of Valentia was worth a day. My husband loved the hole story about the first transatlantic telegraphcable from Valentia til New Foundland - he even bought at piece. Kathleen was a very helpfull and knowledgabel host. Great ro have a sandy Beach 2 minutters away from the B&B. Great pubs with seafood and music in the neigbourhood. Lovely, spacious and comfortable room. Breakfast was delicious. Kathleen is a very warm and gracious host. Reen Coast B&B was perfect for us. We ended up staying for two nights and Kathleen was so helpful to us. We were there for the Skellig Islands trip and Kathleen helped us with a few names and spaces on the trip. The breakfast was spot on with what we wanted and room were big and comfortable. 2 mins from Portmagee, lovely area, really couldn't have asked for more. We stayed at Reen Coast B&B for three nights in May 2015. Kathleen is a very kind and helpful hostess and took great efforts to organize a trip to the Skelligs for us. The room was very spacious and comfortable with a modern en-suite bathroom. To be recommended! Great Stay!!! Everything we hoped for. Very clean , beautiful area, very hospitable. Would definitely stay again!! 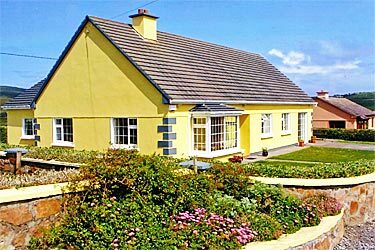 This is a charming and comfortable B&B in a quiet rural spot with very beautiful views of the coast and Valentia. Extremely convenient for Portmagee, the Skellig boats and the wild coast. Kathleen and her husband are extremely welcoming and helpful, and if you like sheep, they are all around.